Tableau Your Data! 2nd Edition Coming Soon | Tableau Your Data! 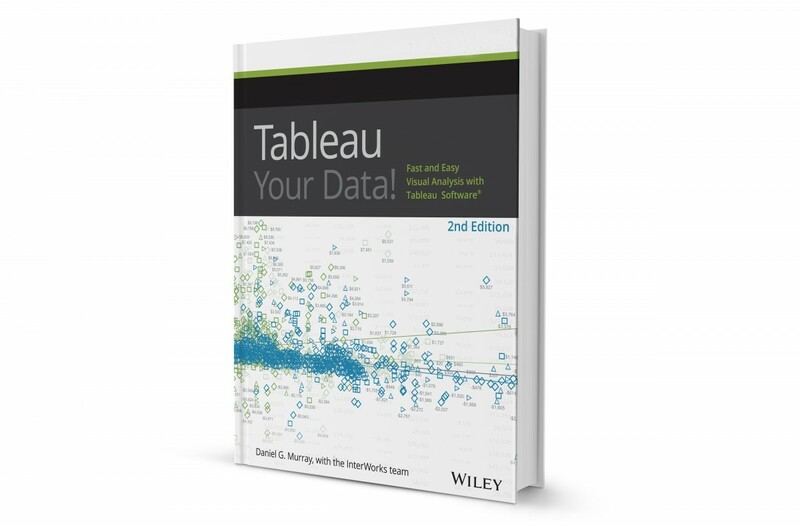 Author Dan Murray shares details about the 2nd edition of Tableau Your Data! The 2nd Edition of Tableau Your Data! is in the final stages of proofreading. I expect to have galleys of the content from Wiley in the the next couple of weeks and then it will be into production for printing. This means the book should start shipping in the late December to January 2016 time frame. In fact, you can already pre-order your copy here. When I started this project a year ago, I thought that updating a book would be much less work than writing the first edition. Tableau has added so many new features since v8.2 that writing an update that incorporates changes through v9.2 has been challenging. Keeping up with Tableau’s pace of development is not easy. The book is approximately 200 pages longer than the first edition. Due to the enhancements Tableau made to the connection interface, the Data Interpreter and calculations, these chapters have been extensively revised. I estimate about 80% of the content is new. Tableau has added Mapbox integration, which is discussed in this chapter the old way because I updated the chapter prior to the release of the Mapbox connector. I discuss the connector in a general way and deleted old content. The chapter also covers new options related to the selector and the Map Option dialog updates that provide more control for the behavior of map panning and zooming. Tableau 9.2 also adds more map data. This chapter expands coverage of data discovery with Tableau and the Data Interpreter. I expanded this chapter to include additional tips and tricks that take advantage of new features added through v9.2. This entire chapter was updated, and the dashboard example was rebuilt and redesigned. Every action invocation type and removal behavior is now covered in the example dashboard. These are two new chapters. In the first edition, these topics were covered in the dashboard chapter. Both chapters provided expanded content and updated examples to help you understand and utilize Stories better. They also provide tips that can help you create better dashboard designs for mobile consumption. The Tableau Server-related chapters have been updated with expanded coverage of the new features included in Tableau 9. Tableau has redesigned the backend of Server, increasing its capability. There is expanded coverage of the new processes that you need to consider when installing Tableau Server for the first time or expanding your Tableau Server footprint. Tableau Server also provides more tools related to data governance and security that are covered and the Tableau APIs have matured, providing more ways for you to manage permissions remotely and automate repetitive processes. Power Tools for Tableau (our API-driven toolset) is discussed briefly with links to guide you to a free trial. I reduced the amount of case study content to a single example that should resonate with those of you who are trying to grow adoption of Tableau in your organization. The case study covers how to start and manage an internal Tableau User group in a geographically-disbursed team. The book’s appendix, which includes a function reference, has been updated and expanded to include all of the new native Tableau functions for Tableau. The second edition is really a new book that borrows as much as possible from the first edition, but it adds new content in every chapter and expands coverage of new features. At Tableau Conference 2015 in Las Vegas, dozens of people came to our booth to express their appreciation for the first edition. That’s what makes the ordeal of writing a book worthwhile! I hope you enjoy the second edition and find the new and expanded content to be even more helpful!